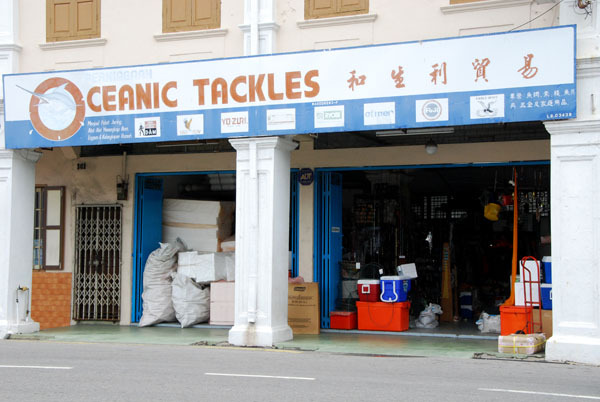 These are the 3 tackle shops in Malacca town that I know of. 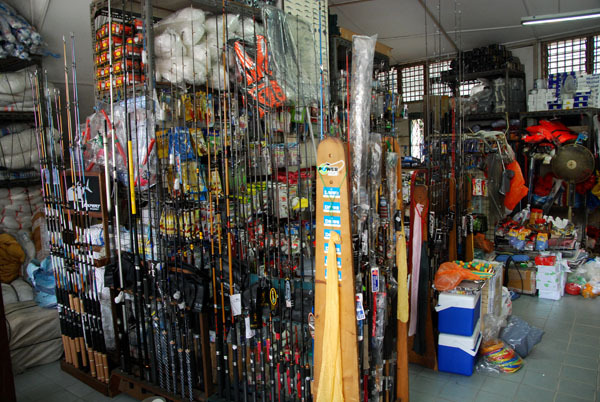 These tackle shops are all located near one end of Jalan Portugis and Lorong Masjid. 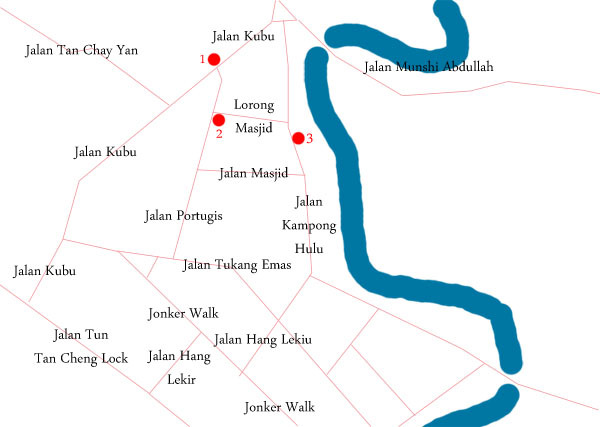 It's not too far from the famous Jonker Walk, at the other end away from the chinese chicken rice ball shop. 1. 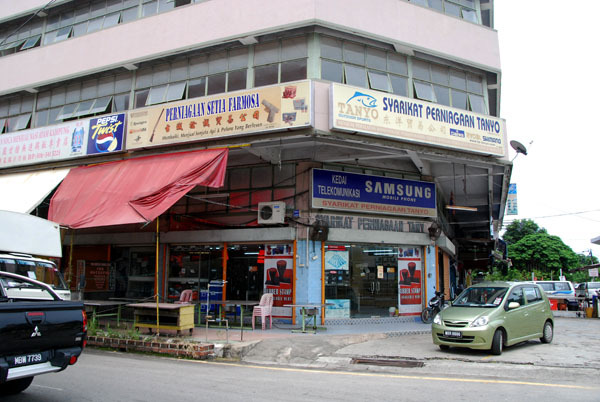 Above is Oceanic Tackles at the junction of Jalan Kubu and Jalan Portugis. 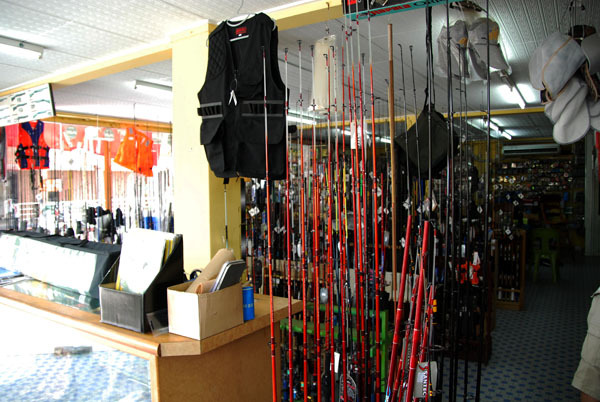 This shop isn't very big but it should have most terminal tackle you need and some rod and reel for emergency. If you are into netting, this is a good place to come to. Above are some images of the inside of Oceanic Tackles. 2. 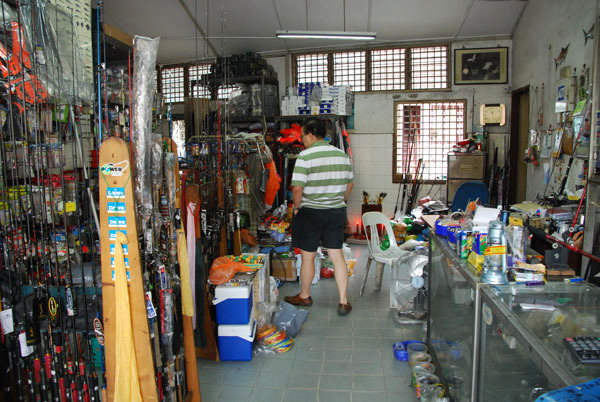 This is an image of Tanyo, the tackle shop at the junction of Jalan Portugis and Lorong Masjid. 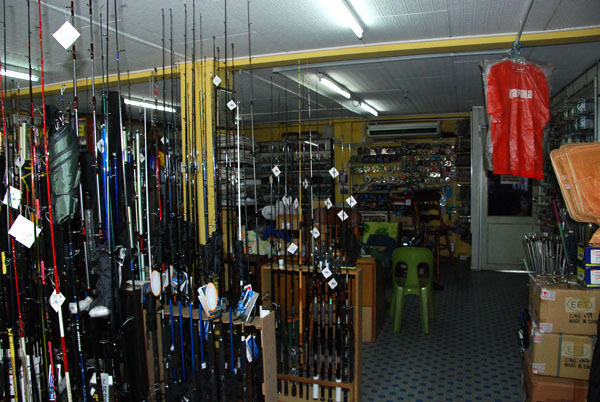 They sells fishing equipments like rod and reel, terminal tackles and hunting stuff. Above are two image of the inside of Tanyo. I do not have the image of the Third shop as I was in a rush, maybe the next trip. 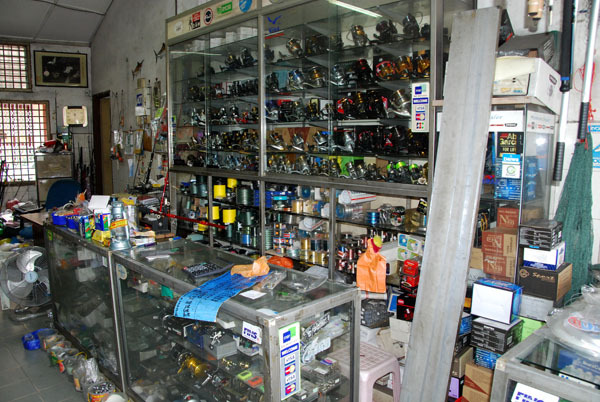 The Shop should be Top Ten, Shimano Shop in Shop in Malacca.